The farming town of Pierson, Florida is a microcosm of the transformations unfolding throughout the US south’s racialized political economy. In the last few decades, Pierson has gone from being a community of white farm owners and working poor Blacks, to a community of white farm owners and predominantly Latino migrant farm workers. For decades, these migrant farm workers, mostly from México and Central America, have toiled and lived in Pierson. They’ve experienced poor working conditions, including exposure to pesticides, and poor pay and living standards. Despite these adverse circumstances, migrant workers have raised families in Pierson, such that, today, the community is majority Latino. Lacking political representation, these migrant farm workers have relied on strategies of self-help to redress their needs: they’ve formed a farm worker association as well as established a credit union for their basic financial transactions, such as cashing their paychecks and remitting funds to relatives in Latin America. To date, these demographic transformations have not led to political change in Pierson, however. A look at the ballot for the November elections for city government is telling. Three of the four city seats—all held by white men—are unchallenged, a common occurrence in Pierson politics. Disenfranchisement of migrant farm workers has in part helped sustain a non-competitive electoral environment characterized by incumbency advantage. When term limits are up, city officials simply rotate positions. And it is not that these public officials are being rewarded for their performance in office. When hurricanes struck the region a few years back, federal relief aid was driven out by Pierson city officials for allegedly keeping migrant workers from returning to the farms. Several city representatives are farm owners, raising concern of the use of public office for personal gain (e.g. altering city zoning codes for personal advantage). Some are also owners of the dwellings where migrant farm workers live. Recently, trash pick-up was eliminated from these living quarters, so as to cut taxes from the property owners, placing strain on tenants and potentially on the city. This election cycle, there is a possibility that the political status quo might change in Pierson. The sole contender for city council is determined to usher this political change. The son of migrant workers from México, Tony Ramos was raised in Pierson. A graduate of Stetson University with a major in political science, the 31-year-old Ramos has returned to live and work in Pierson ever since. He is well known and respected in the community, participating in non-governmental organizations and in the city’s Little League. Politically, Ramos is a viable candidate. For one, he is a political outsider. Unlike the incumbents, Ramos is not a career politician. As a community member, Ramos has a keen awareness of the issues important to Pierson residents, citing, for example, the need for paved sidewalks where children walk to school. At a recent meeting with volunteers for his campaign, Ramos comfortably conversed in English and Spanish to a diverse group of SDS and local community members. “Personally, I just want to express my gratitude to all of you,” said an unassuming Tony Ramos. “I think we’ve got a good shot at winning this.” The enthusiasm was palpable among the volunteers, who plan on conducting voter registration drives and get-out-the-vote campaigns in the coming weeks. These foot soldiers of political change in Pierson are determined to show that demography is destiny. 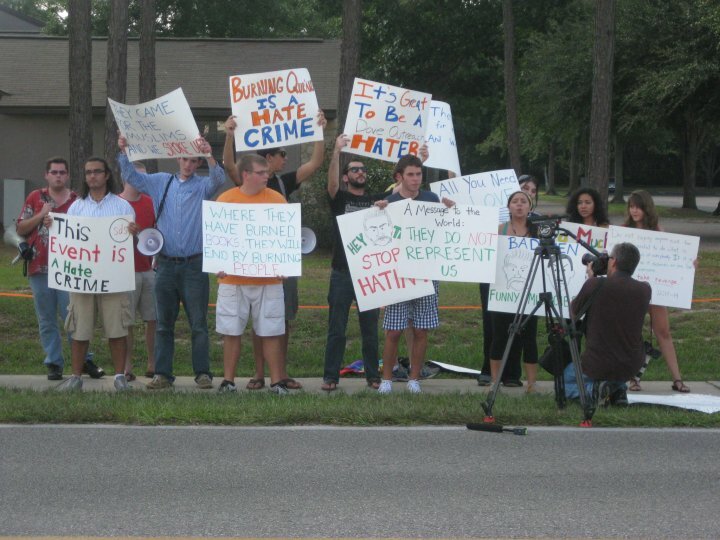 In anticipation of the planned Qu'ran burning by the Dove Outreach World Centre, the Gainesville SDS, in conjunction with other progressive groups in Gainesville, as well as Florida and the United States, joined together to stand up against Islamophobia and bigotry. Under pressure from these groups as well as political and military leaders and protests in countries like Afghanistan and Indonesia, the pastor of the Dove Outreach World Centre, Terry Jones, canceled the event. However this does not mean that the Dove Outreach World Centre represents a problem that not only plagues Gainesville, Florida but also the United States. Despite concerns that the news of the cancellation would discourage people from coming to the protest as well as the alternate events provided, the protest saw more than 300 people, some arriving as far as New York and Chicago. 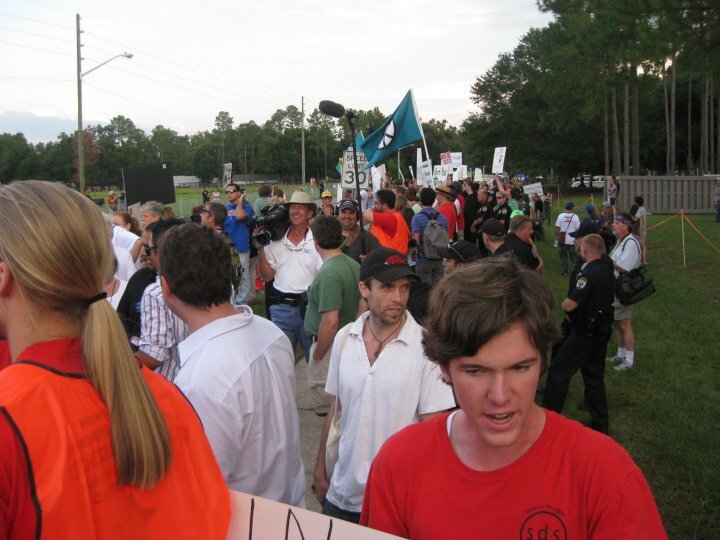 The protest began with a rally at the Possum State Park, where speeches given by both student leaders, religious figures, and others, inspiring the crowds. Following the rally, the people marched towards the Dove Outreach World Centre, chanting and bearing signs that spoke against religious intolerance and hatred like "All the world, come and see. We won't stand for bigotry". Upon arriving at the church, the crowds were greeted by a media frenzy who documented the massive protest outside the door of the Dove Outreach World Center. Leading activist group to spearhead protest demanding authorities shut down illegal Qur’an burning. 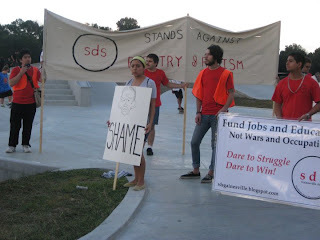 Students for a Democratic Society (SDS)—who rallied the Gainesville community in favor of immigrant rights and protests against police brutality—will lead a protest against the controversial Qur’an burning event planned for 9/11 by the Dove World Outreach Center (DWOC). The protest will begin on September 11 at 5PM at the nearby Possum Creek Park from which protesters will march to the DWOC and picket the event. The DWOC called for an International “Burn a Qur’an day” to coincide with 9/11, which was subsequently met with widespread condemnation from the American public and global community. Although the DWOC was denied a city burn permit twice, they have vowed to illegally burn Qur’ans. SDS maintains that the DWOC’s Qur’an burning is an illegal hate crime, equivalent to the burning of crosses by the Ku Klux Klan. They are leading a protest of hundreds of people from all over the country to the doorstep of the DWOC to demand and ensure that authorities prevent the crime from occurring. The DWOC’s hate crime sends a message to the Muslim world that the United States lacks any respect for their faith, which only serves to fuel military conflict in the Middle East and Central Asia. 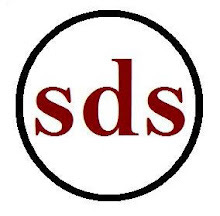 SDS believes that the DWOC’s illegal hate crime must be confronted peacefully but directly by the Gainesville community and the entire American people. This protest is the first step in building a national movement to combat Islamophobia, anti-immigrant sentiment, and racism in the United States. Who: Students for a Democratic Society, the Arab and Muslim community, the Gainesville community and their progressive allies across Florida. What: Protest against the organized burning of the Qur’an by the DWOC.